Today I write to talk about High Point! I had to come to the largest furnishings industry trade show in the world, that brings more than 75,000 people to High Point every six months. Serious retail home furnishings buyers can be found in High Point twice a year because if you can’t find it in High Point…it probably doesn’t exist. And that’s what I want to show to you… Let me give you a few high ended furniture wich you can decorate your room like no other! Ready? This elegant bench has a hand applied, distressed painted frame and can be upholstered in any of Mr. Brown fabrics or your own in their High Point workshop. Bradshaw Orrell was the lead designer for the Studio Collection for Baker Furniture. 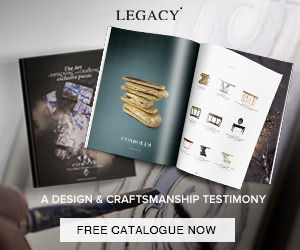 Boca do Lobo design strives to encourage sensational experiences by creating beautiful pieces which are passionately inspired and handcrafted in Portugal. As you can see you have a lot of ideas that you can get for your rooms at High Point Market Spring 2015!